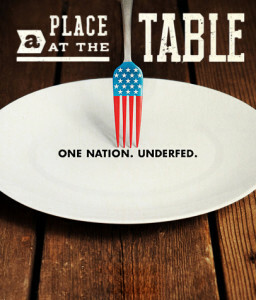 Sustainable Fairfax is screening “A Place at the Table,” a documentary that investigates incidents of hunger experienced by millions of Americans, and proposed solutions to the problem. About 50 million Americans are food insecure, with the proportion of children facing food insecurity at about 1 in 4. The film sees directors Kristi Jacobson and Lori Silverbush examine the issue of hunger in America, largely through the stories of three people suffering from food insecurity. Appearances by Jeff Bridges, Raj Patel, and chef Tom Colicchio.